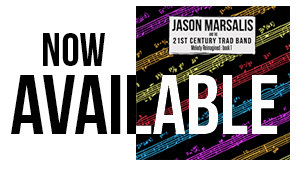 There’s an argument to be made that Jason Marsalis is the most interesting musician in his illustrious jazz clan. He made his mark as a preternaturally astute drummer in two sui generis ensembles, the Marcus Roberts Trio and Los Hombres Calientes. But he’s forged a new identity on the vibraphone as the leader of a smart and dynamically charged quartet, the young ensemble he brings to the Joe Henderson Lab. At 37, he has yet to earn the “jazz master” imprimatur bestowed on the Marsalis family by the NEA in 2011, but he’s well on his way. This entry was posted in Articles, Press and tagged Andrew Gilbert, Jason Marsalis Vibes Quartet, jazz master, Joe Henderson Lab, Los Hombres Calientes, Marcus Roberts Trio, Marsalis family, NEA, San Francisco Chronicle, SF Gate, sui generis on December 3, 2014 by abell.